We are thrilled to introduce 13 new clients we added to team Unified for the month of July! Each of our clients provide a unique aspect that adds more diversity to our existing group of clients. These companies have joined our Unified team to enhance their technologies to improve their business strategies. As the largest charitable foundation in Kentucky, the Community Foundation of Louisville is a strong leader in the philanthropic community. Serving the state since 1984, they have connected donors, nonprofits, and civic partners in the Louisville and surrounding area. Due to their vast growth, they have totaled more than 1,600 charitable funds and put an emphasis on diversity, equity, and inclusion. Flexwealth Management is a national alternative lender with locations across the country that provides customers with short and long-term loans. Used for business and personal use, the experts at Flex Wealth will assess a client’s loan needs and lend within 24 hours based on approved appraisals. Their loan range extends from $10,000 to $10,000,000 with no required credit check or guidelines. Located in Nicholasville, KY, GBJ & Associates, PLLC is a small law firm. 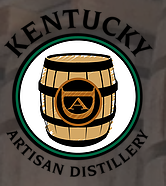 The Kentucky Artisan Distillery is an innovator in the craft distillery industry. Located in Crestwood, KY, KAD carries three different brands as a part of their distillery and bottling services right in the heart of the Bourbon Trail. These include Whisky Row Bourbon, Highspire Whiskey, and their most well-known brand, Jefferson’s Reserve Bourbon. This Louisville law firm has been at the forefront of customer care since the 1970s. Family-operated, they strive to serve victims of personal injury through client-centered care, customized attention, and reliable results. Lowman Law strives to always put the client first. 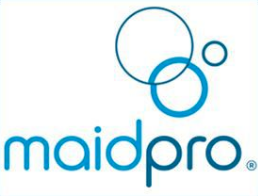 MaidPro is a house cleaning and maid service with locations nationwide. We are proud to partner with their Florence, KY location, which serves the surrounding areas in Northern KY. This company provides professional cleaning services with a personal touch in your home from bedrooms to bathrooms and everywhere in between. New Horizons Interiors is a family owned and operated business specializing in space planning, design, professional delivery, and installation. They have taken over healthcare interior design with their unlimited styles and unmatchable prices. For a personalized experience from designing to installation, New Horizons is a trustable, reliable business in the interior design industry. Voted the number one place to work in Kentucky for three years in a row, SIS is a leader in the technology solutions and services industry. They collaborate with clients to provide strategic, innovative solutions to meet the needs of their business. The company has brought service to five state across the country over the last 30 years. A local Louisville company, St Matthews Fire and Rescue provides fire prevention and education services to the area. As most would assume, their main focus is to deliver emergency medical and safety services to the public. The company focuses on traditional values and professionalism in their line of work. 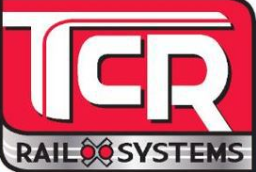 TCR Rail Systems provides key systems for highway grade crossings and signal systems throughout the US. They specialize in highway crossing warning systems by combing design and construction manufacturing through experienced service specialists. Their service in the Simpsonville, KY area is unparalleled. Tru-Tone Finishing is a full-service e-coat and powder coating company that originated in the Midwest region of the U.S. They offer quick services from small project to large volume orders. Their Lexington, KY location opened in early 2018. Warren RECC (Rural Electric Cooperative Corporation) is a company providing basic electrical needs to the south-central Kentucky region. Located in Bowling Green, KY, you can become a member of Warren RECC by paying a $10 membership fee along with a service deposit, and connection fee. Stay tuned next month to meet any new August clients. If you want to learn more about what we offer at Unified, contact us here.